It is said that the internet revolution made it easier for musicians to get discovered. But it’s 2012, has the internet made it easier to distribute music and what are the best tips for a struggling artist? 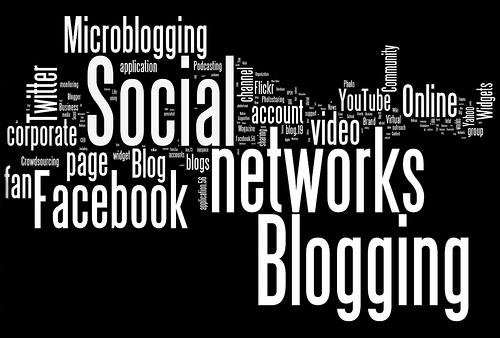 While Myspace did come and go, Web 2.0 has been of huge importance for the record industry. Facebook and Twitter is the most common place to share music and get unsigned bands retweets and likes. But it hardly ever generates an income, and as evident in most successful cases – Touring and playing gigs are still highly affective. Before distributing your music for free, it’s important to remember that few of the internet savvy people are actually going to pay for a digital download. Especially if you’re getting som traction – If your album is available for free it’s going to be difficult to convince people on the net to support you. As stated in a recent study, it also depends on which music genre you’re in. Hiphop is known to have a big pirate scene attached to it, while in genres like jazz and classical music are less affected by illegal downloads. But it shouldn’t matter which genre you’re into – There are great marketing methods for musicians. A recent study showed that even a music genre like classical music has great potential in promoting themselves via social media. So, what’s the best marketing platform for a musician? If you want to distribute your music, I would strongly recommend Twitter and Soundcloud. Upload all your music to Soundcloud, and then start to follow and tweet to listeners of similar artists. Offering free album downloads via Soundcloud is a great way to get fans, while providing them streams and not necessarily MP3s. Don’t be afraid to contact labels through Twitter either, by simply linking to your best Soundcloud streams. As long as you try to be original in your tweets, and not try tro reach as many labels as possible. Quality is better than quantitive. Remember that word of mouth is the best way to distribute your music, not constantly asking lots of people to check out your band. If it’s good, and your tweets aren’t “spammy”, the word will spread on its own. Download the full thesis here. It’s from 2012 and has great and interesting view on social media and music marketing.